Living in the Midwest, we are lucky if we get 15 days a year when motorcycling conditions support those of us who practice the “All The Gear – All The Time” adage. Now, please do not mistake this statement for meaning that we do not ride often, because we do. I’m just saying that the weather isn’t very cooperative when riding in a rugged protective motorcycle suit. 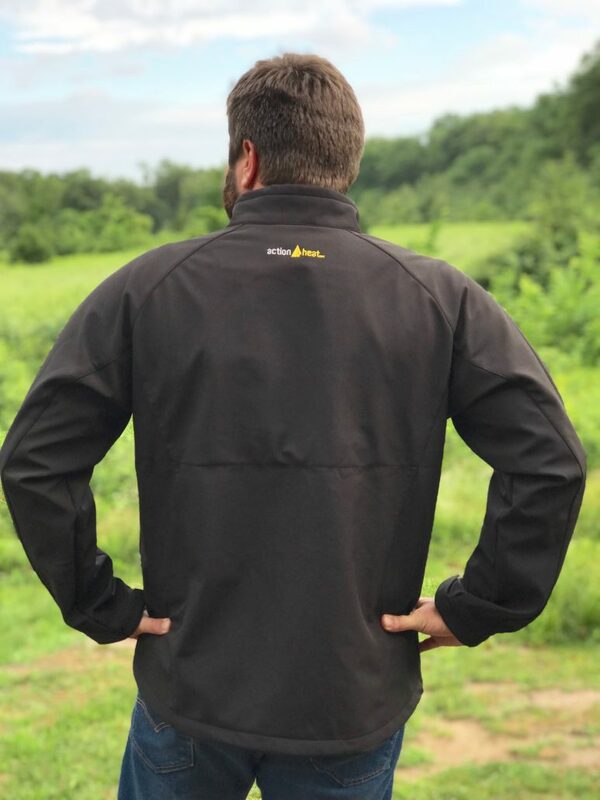 Enter heated jackets. In a typical year, we leap from a wet spring, straight into the blazing heat of summer, and then quickly into the frigged winds of winter. This means there really aren’t that many days when your typical riding attire is actually what you’d want to be wearing. When you put on your riding gear there always seems to be a desire to be cooler or warmer. Technology has come a long way in combating this conundrum. Many motorcycle apparel brands have made huge strides in keeping us cool in our riding suits even on the warmest days on the bike. For cold weather riding though, the technology comes in a different form, supplementary electric or battery powered heated gear. Heated apparel has extended the length of the riding season for many riders. This type of gear can be used to enhance the number of months in the saddle or to simply make a chilly afternoon ride more comfortable. 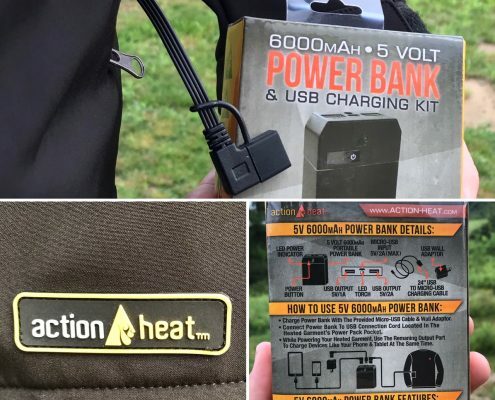 I had an opportunity to take the ActionHeat 5V Battery Heated Jacket for a test run and here are my thoughts. 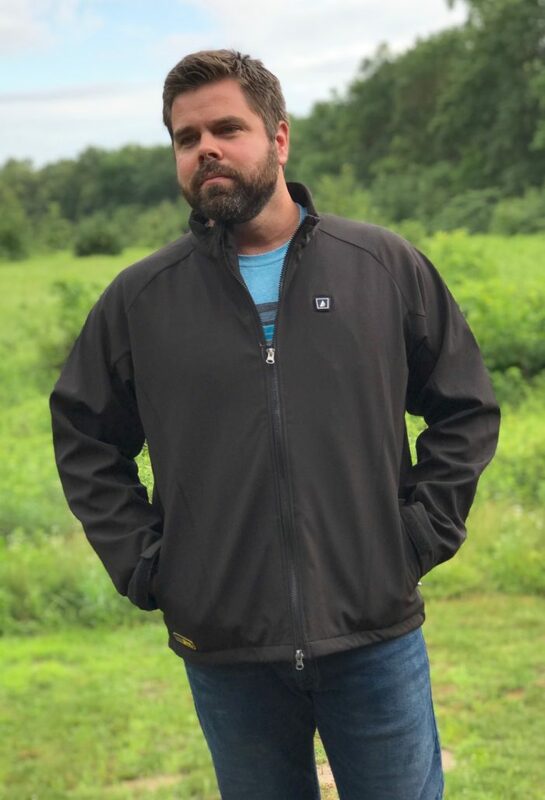 First of all, my favorite thing about this heated jacket is its obvious conventional styling. The black technical zip jacket mimics the traditional North Face staple seen around college towns across America. I like that it can be used as a versatile jacket. 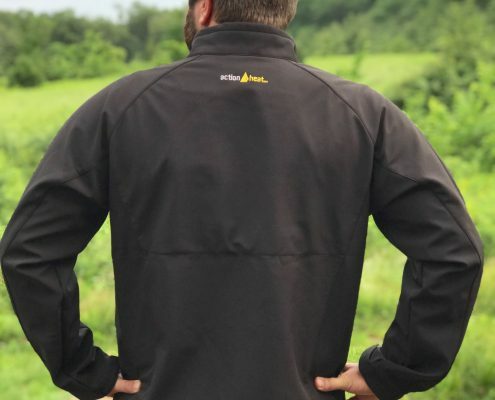 It feels at home under your riding jacket on cold days, but it will also pull double duty at a cold weather ball game or if you work outdoors in the winter. I love this. Many other heated apparel manufacturers make a heated jacket or vest that looks right at home when paired with your riding gear. However, those same items often feel very out of place when your not doing any riding. Often making you look like you just landed from a space ship. Which ultimately means that jacket stays in the closet when you aren’t riding. As many of my readers know, I love multi-use items. 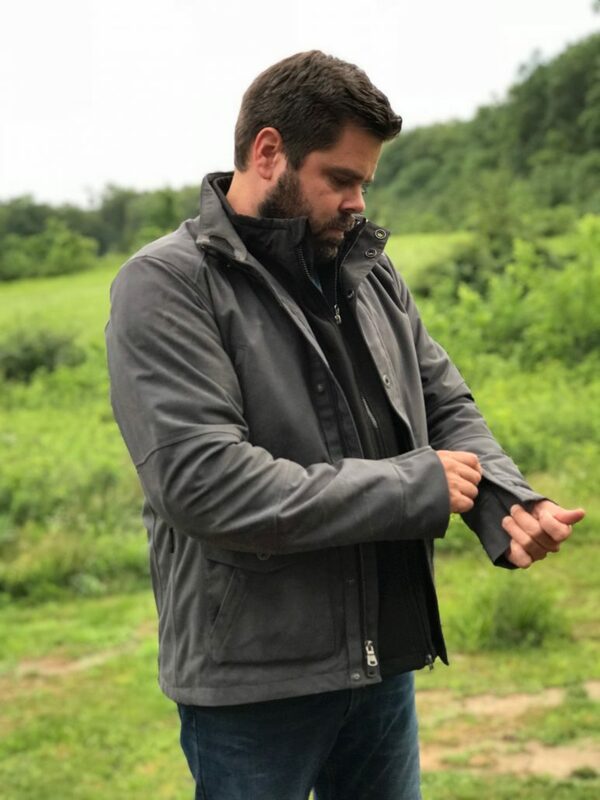 If you plan to spend $200 on a heated jacket, make sure you get some use out of it. Secondly, I appreciate the simplicity of the battery pack. On a full charge it and run on “High” the battery will generate a minimum of 3 hours of heated glory. The battery unit itself is easy to charge. 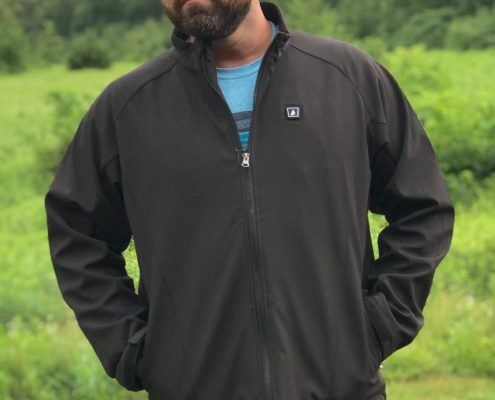 It seamlessly connects to the jackets wiring system to power the heating elements, while tucking away discretely in the pocket. I like that it is basically idiot proof. If you can charge your phone, there is no learning curve. It will also pull double duty as a USB to phone charger, which again, gives this jacket a nice multi-use quality to it. I am pleased with the experience of adding heated gear to my set up. Being a person who typically “runs hot” I was skeptical that I would benefit.I powered it up and used it on a 250 mile ride in 50 degree overcast weather. The jacket itself was warm enough as I started my ride, but as the wind started to wear me down I set the jacket to “low heat” (around 90 degrees), it was the perfect compliment for a chilly days ride. One thing to note is that the ActionHeat Jacket offers a little bit of a baggy fit. If you plan to wear it as part of your riding gear, you may want to get a “snug” size to help pair it with your riding coat. 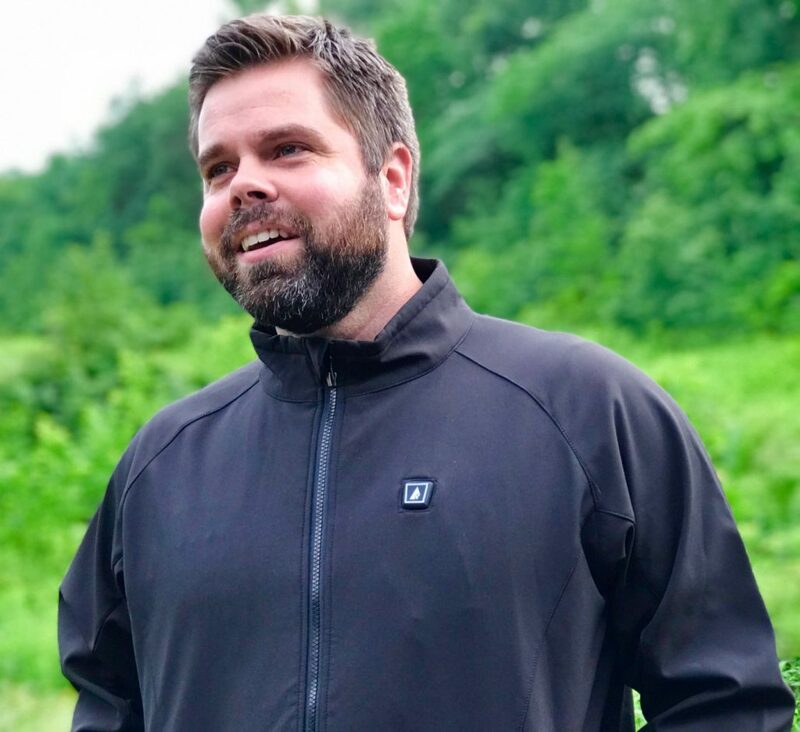 If your riding jacket is intended to be a fitted look, like my Aether Rally Motorcycle Jacket, I would certainly recommend ordering your heated gear to be snug or you’ll have issues with “bunching”. The nice thing about heated gear is that you can layer with thin materials instead of a down puffy layer. Because you’re being provided with actual battery powered heat and not relying on your body alone to bring the warmth to the party. 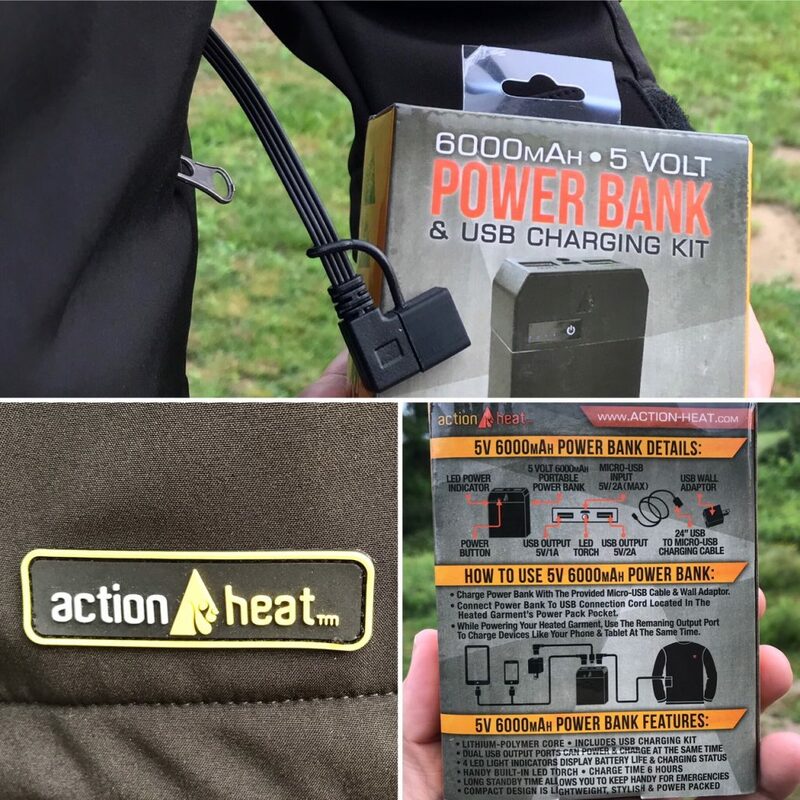 The ActionHeat 5V Battery Heated Jacket is produced by the ActionHeat Brand and it, along with a number of other heated apparel items, can by purchased at The Warming Store.